Open Houses are held monthly for parents and professionals who wish to obtain more information regarding The Bridge Academy for a possible placement or referral for a child. Information will be presented regarding The Bridge Academy curriculum, the admissions process, a tour of the school, as well as the opportunity to ask questions. 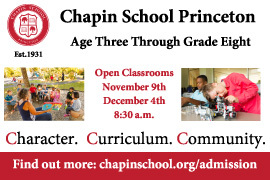 All Open Houses begin at 9:30 am at the school. If you are interested in attending one of our Open Houses, RSVP to (609) 844-0770.